Foster families in Washington State are under a new mandate that everyone in their house needs a flu shot if they have foster kids under two years of age. If they don't comply, the children will be taken from them. This is in spite of the fact that the flu vaccine is both dangerous and largely ineffective. 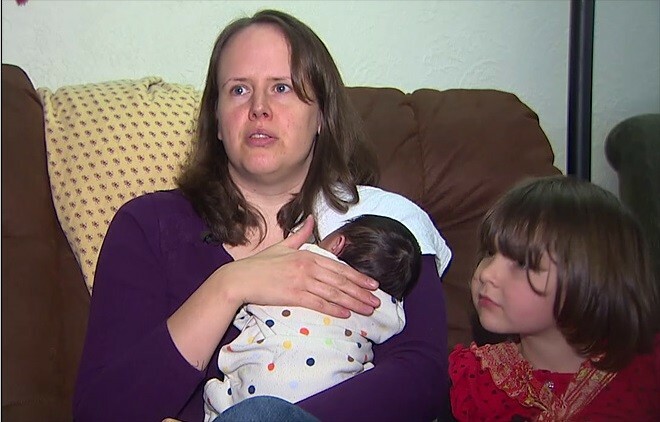 As KOMO News is reporting in Tacoma, at least one foster parent is fighting back, and refusing to comply, even if it means losing her 2-week old baby. Flu shot nearly killed my cousins baby. Landed him in the hospital for 4 months, nearly kept him from walking, and has had 18 surgeries because of this. My mother too cant get the flu shot because it nearly killed her as well. Forcing people to get life saving measures that work for most but not all people is not what we are about in America. What ever happened to freedom of choice for onesself? statistically 8 out of 10 people that posted here did not vote so quit blaming the government for not looking after your interests when you refuse to look after your own by votingplus we don't have a government anymore we are ran as a business not as a community of people. And for those if you who say it's not her decision to act in behalf of her own biological and adopted children, who are they going to hold responsible for a vaccine injury? HER! She will be charged and the whole family will be put in foster care and jack them all up on meds and shots... For what? All because she denied a PROVEN fail of the flu shot? Get over the propaganda and scare tactics and see the big G for what it is! Evil!
" "It is serious," said Heather Stephens-Selby of the Washington State Nurses Association. " Exactly. I am sure the ever growing group of Nurses Against Mandatory Vaccination thinks so too. Seriously out of control. This foster mom has the interest of all concerned at heart. She appears to have done her homework, and is making the best choice, given impossible choices. Very courageous and heart wrenching. A foster parent, who is providing much more then room and board. This is who I would want to decide what is in my best interest, if I were a foster child, rather then a biological parent who is unable to take care of them selves, and/or a child. And I would choose this foster parent anytime over a system, that is riddled with conflicts of interest between corporate US affiliations and government. Look how many have died from flu after vaccination. Look at the CDC's own notion that this year's flu vaccine contains only strains of flu that are not the ones going around. In other words: useless. Not to mention known neurotoxins, we have no business injecting into any children, especially not infants! Take that into account, Washington State, please! Rooting for this baby, this foster family, and many others in the same predicament. Seriously? She's not refusing to vaccinate the baby. She does not want to vaccinate her own children. And it says that she had fostered numerous children, one of which she adopted and is now part of her family. She's not refusing to vaccinate the baby... She's refusing to vaccinate her own children. These are not her children to make a decision not to vaccinate ! I appreciate that she is trying to protect these children but I find it hypocrisy that it isn't being pointed out that these children are NOT hers! And this shows even more how the system and those involved in it are all claiming possession of and the right to make medical decisions for someone else's children! If my children were taken from my care and placed in a foster home, it is immoral for the adults in that home to then claim those children as their own, yet that is exactly what they do-they have no intention of returning the children either! The entire system is wrong.